Quite a name for a church! Actually, it was built by Alexander III as a dedicated memorial to his father, Alexander II, who was assassinated at this very location. What is amazing about this church is that the apparent paintings are actually intricate mosaics ... about 7500 meters of incredibly detailed mosaics. 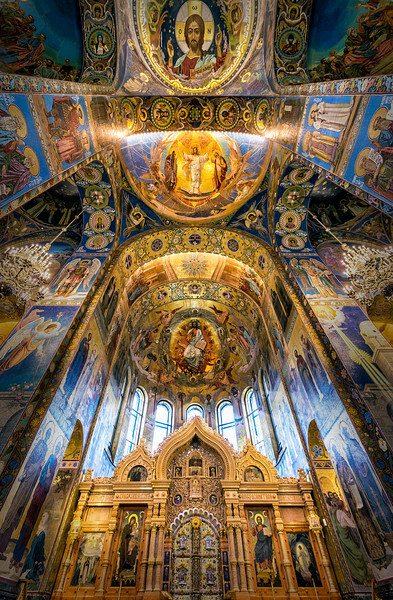 Stunning in it's beauty, the church has survived the Russian Revolution, WWII and being used as a warehouse at one time.